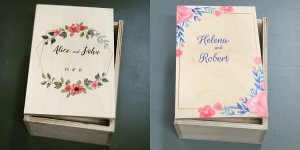 Photo books are the ideal way to showcase memories created on those special events such as weddings, birthday celebrations and new born photo shoots. They make the perfect gift and can provides a professional element to portfolios. CoffeeTableBooks.co.za offers a wide selection of photobooks to match your every need. Covers can be created from a selection of woods, composites and acrylics, limited by the imagination alone. With the endless possibilities and samples created during our practical run with Studdio22’s new laser machine, the Cappuccino Custom Bamboo was produced. The Cappuccino Custom Bamboo photobook incorporates a Strandwoven bamboo hard cover and pages printed in Premium Digital Press quality with accurate and natural colours. The composition of the bamboo covers have a density and hardness component which adds a sturdiness to the book. The books are offered in either A4, printed on 150gsm premium coated matt paper, or A3 in which we use a slightly heavier 200gsm. 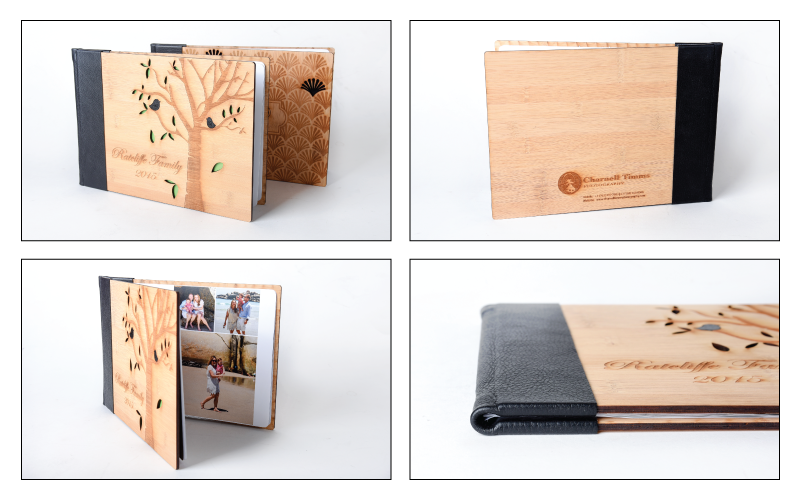 Through the service offered by Studio22 with precision laser engraving, marking and cutting, personalising your Cappuccino Custom Bamboo photobook has never been so easy. Cut and engrave patterns, pictures, shapes, names, logos and many more designs. It provides a custom-made option that will suit you and your clients.